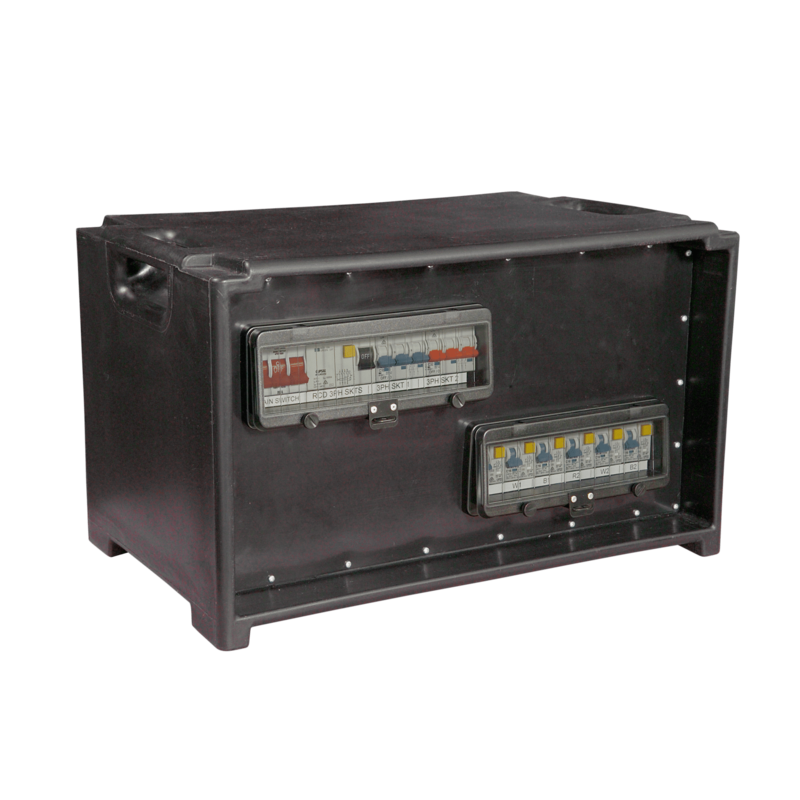 When you are dealing with sound and lighting in the events industry, our ceeform stackers are your best friend. 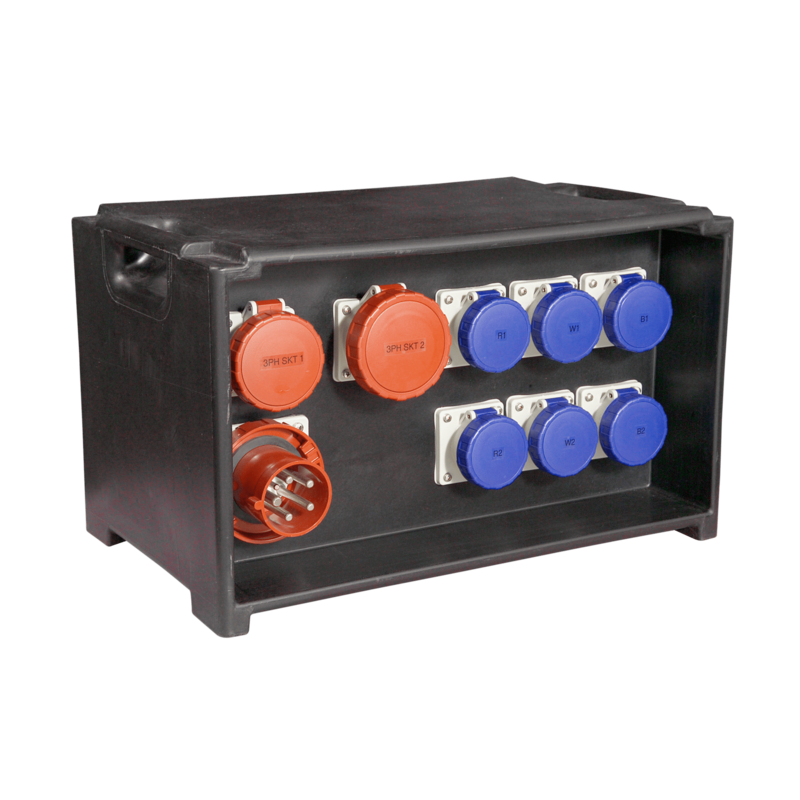 Combine them with other units from our stackable range to meet all your power distribution needs, whatever they may be. 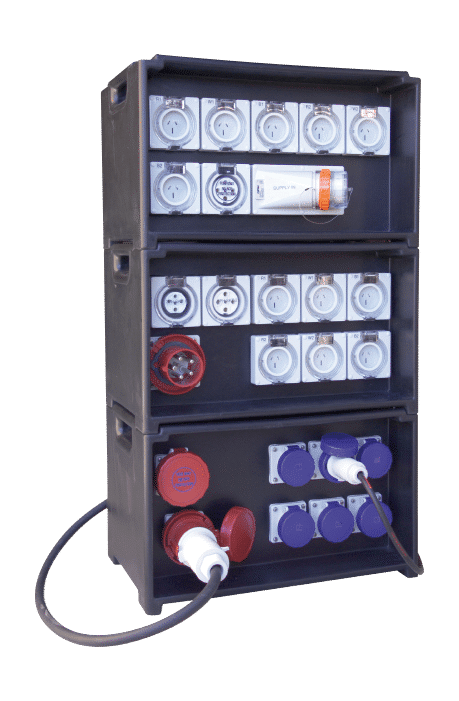 IP67 rated to withstand even the wettest outdoor conditions, this 63A ceeform stacker boasts a range of outlets, as well as individual RCBOs for the 16A outlets and a 4 pole RCD for the 3 phase outlets.